The Tribune Pakistan has a slideshow on the increasing violence against Shia Muslims in Pakistan. : Thanks a ton for these articles. 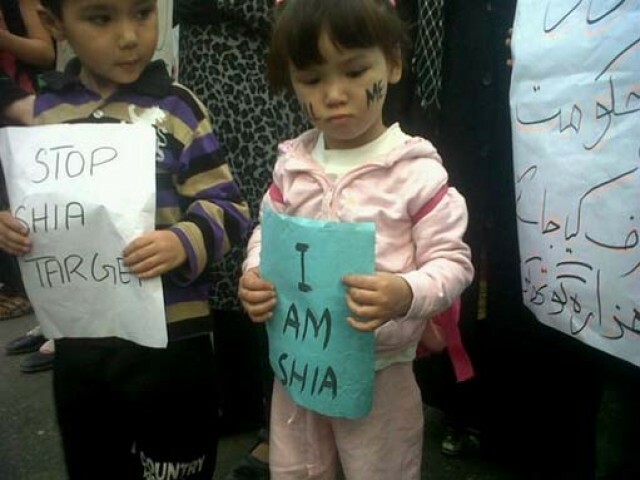 Just made me dwell upon shia-sunni conflict. BBC article made me realise the reason for frequent bombings in North West Pakistan. Economist had Tahir Ul Qadri in positive light mostly, but a little more digging made him suspicious to me, he seems to be an agent of Pakista's military regime to topple democracy. He should clear the doubts about the sources of his funds, watch?v=lij25N9dDujM#! has the other side of him. No more FOP article is right, when there are no FOIs why should there be FOPs? FOPs counterparts never open their mouths in pakistan. And the slideshow is really moving! Wonder what's with these sectarian conflicts!